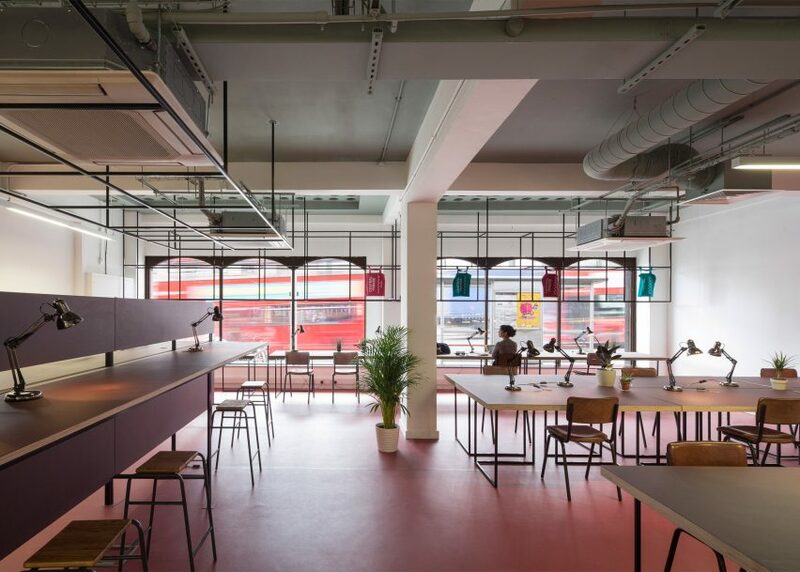 London studio Gort Scott has converted a rundown office block in London's Walthamstow into a hub for local creatives, featuring co-working spaces, maker studios and a bakery cafe (+ slideshow). Walthamstow Central Parade was originally built in the 1960s to serve as council offices. Gort Scott has renovated the building to create 650 square metres of space for independent workers and businesses. The architects used mid-century-inspired details and furnishings to pay tribute to the building's heritage, while utilitarian elements suit its more functional new use. The result is a spacious facility suitable for various activities. 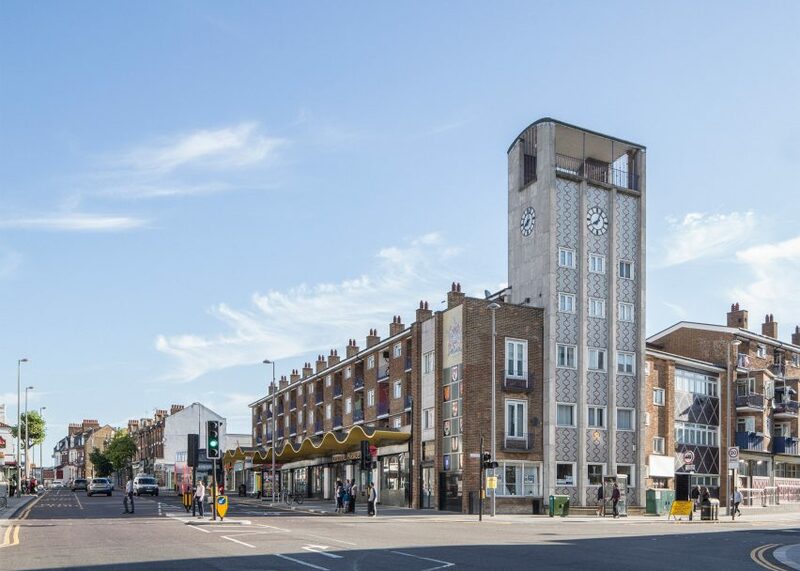 The aim is to promote the Walthamstow area as a hub for the creative industries. 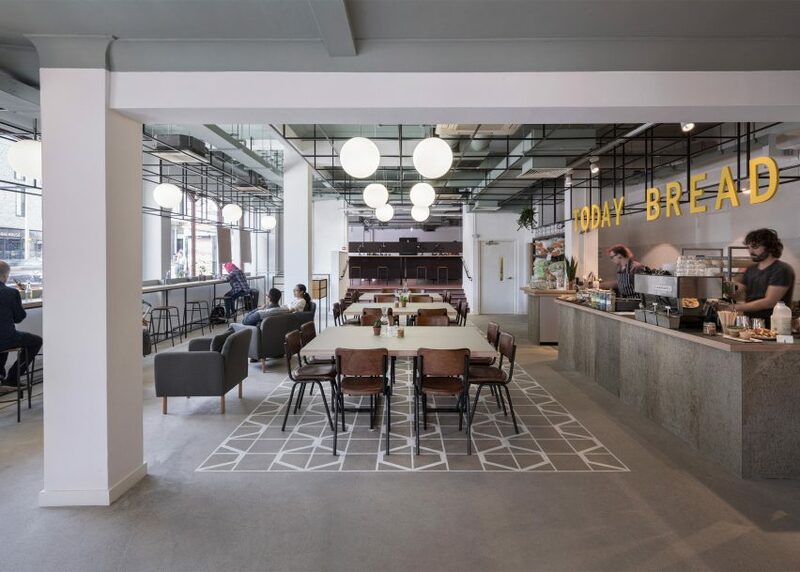 "Walthamstow Central Parade provides stylish workspaces with varied facilities, enabling a range of creative industries and emerging enterprises to thrive in the area," said Jay Gort, who leads Gort Scott with partner Fiona Scott. 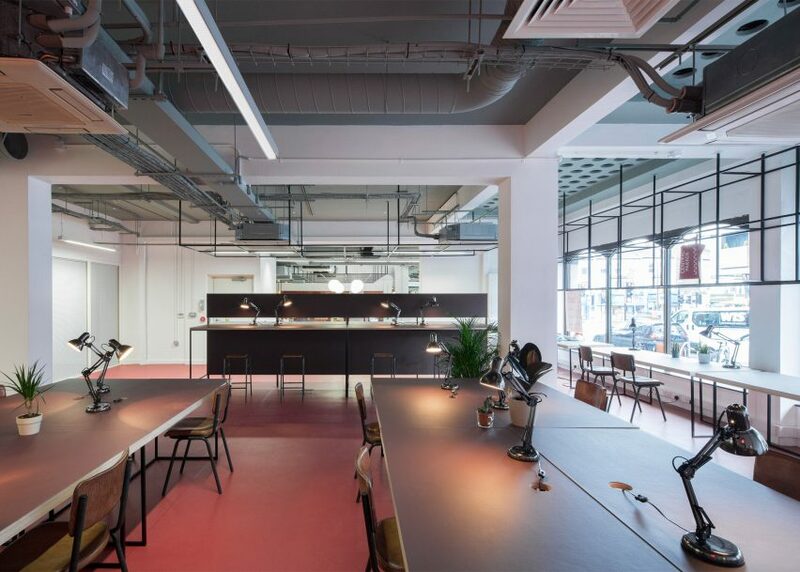 The architects' first step was to strip back the interior to create a warehouse-like space, with bare walls and floors, and ventilation ducts and electrical fittings exposed across the ceiling. They restored the unusual facade details, which included a wavy concrete canopy – now painted yellow – and decorative tiles. These provided the design cues for the interior, as well as for the building's new signage. "We ensured that the facades of this landmark building were sensitively updated to re-establish the buildings positive contribution to the streetscape," said Gort. "We [then] worked closely with graphic designers Polimekanos to develop a graphic identity for the project, which was inspired by the original decorative facade tiles." Inside, the main hall is divided up into two areas. The first side is open to the public, and accommodates a bakery cafe, as well as a series of small studio/shop units and exhibition areas. 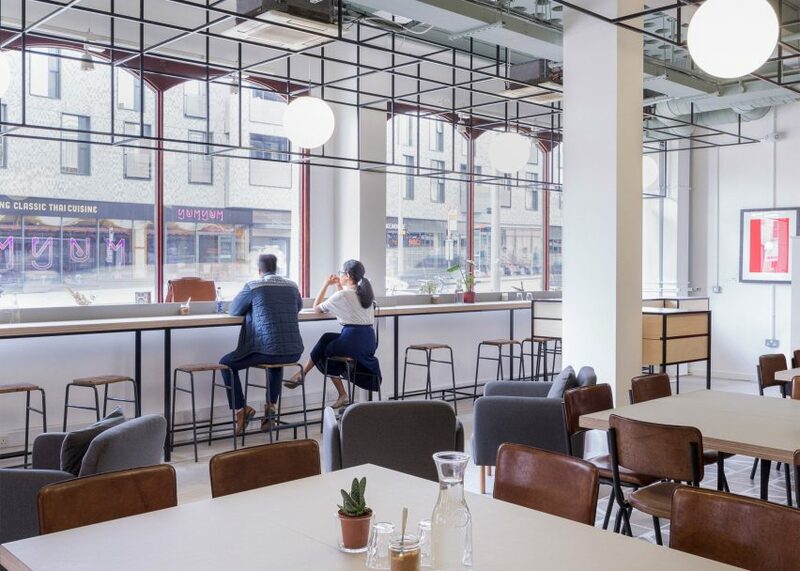 A few steps lead up to the second area – a co-working space where desks are kitted out with sockets, lamps and plants. Meeting rooms and other facilities are located in the rooms behind. Gort Scott developed a range of bespoke furniture for the project, helping to keep costs down. 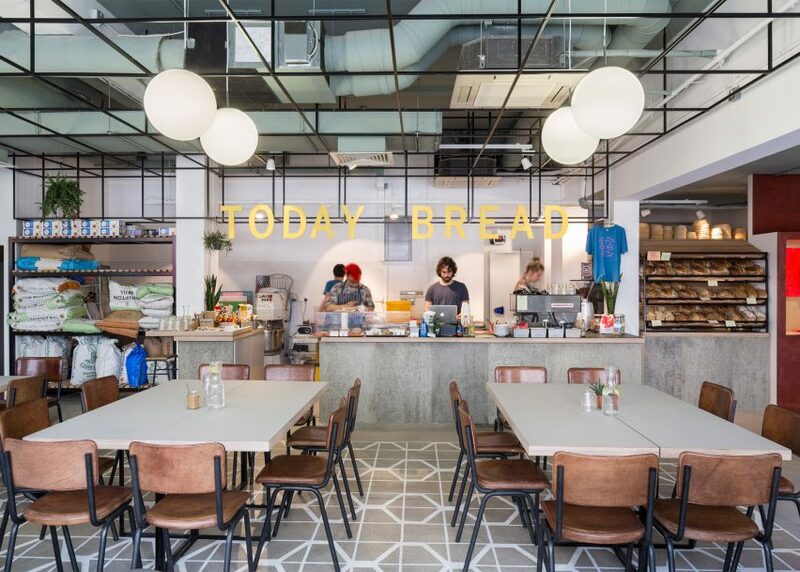 The facility is run by social enterprise Meanwhile Space, which has worked on similar projects across the capital. 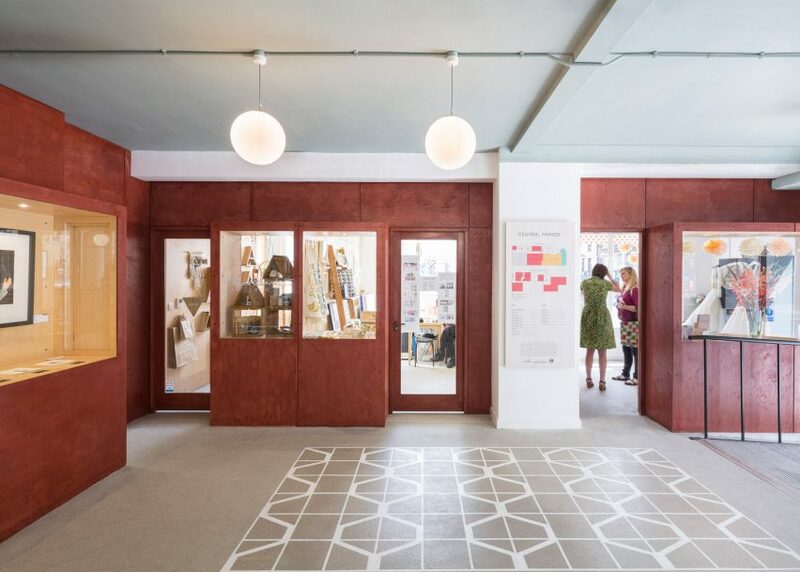 "Waltham Forest is London's fastest growing hotspot for culture and creativity, so it is ideal for us to be able to use this building to provide more space for local creative businesses to grow and thrive," added local politician Clare Coghill. Gort Scott was founded in 2007, and has since worked on numerous projects in London's more deprived communities. These have included a golden public toilet in Wembley and a public space in Tottenham. 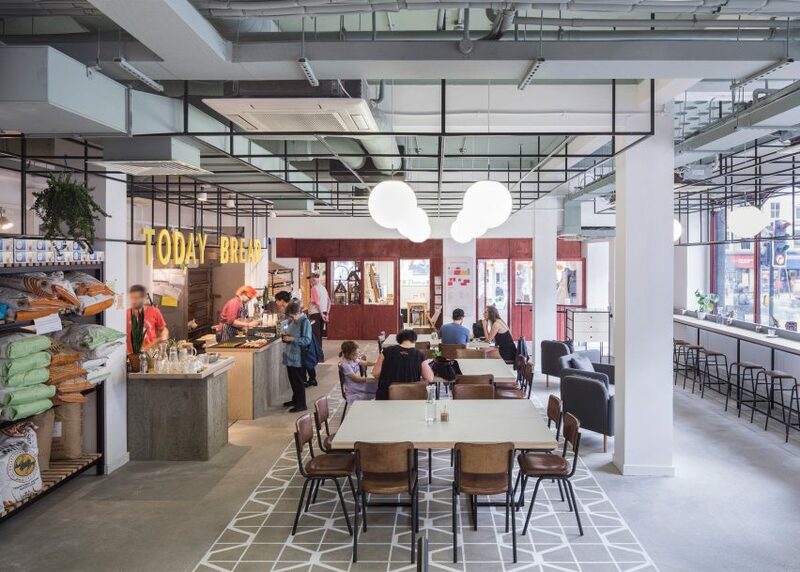 For job opportunities at Gort Scott, visit their company profile on Dezeen Jobs.